016 - Phnom Penh - Cambodia - 2014 - John Macs Travel & Photography. 016 - Phnom Penh - Cambodia - 2014. Today in Phnom Penh, Cambodia, we visited The National Museum of Cambodia, staying there for around one & half hours. We then went to visit the Tuol Sleng Genocide Museum. The site is a former high school which was used as The Notorious Security Prison 21 by The Khmer Rouge Regime. The exhibitions here show the atrocities committed by The Khmer Rouge, which was headed by Pol Pot. We then went to visit The Infamous Killing Fields "Choeung Ek Genocide Centre". This was a very harrowing experience today. 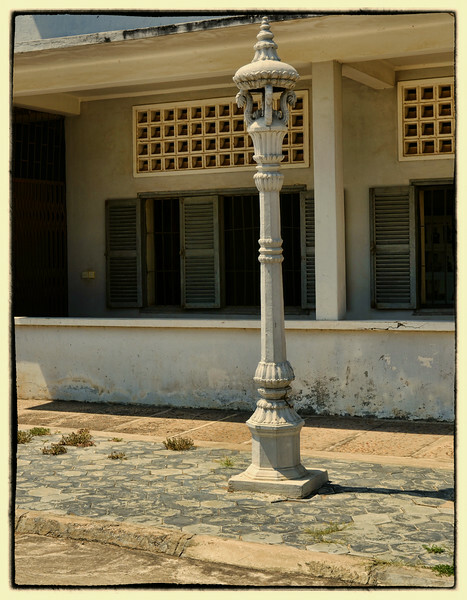 The Tuol Sleng Genocide Museum, 113, Phnom Penh, Cambodia. - 2014.